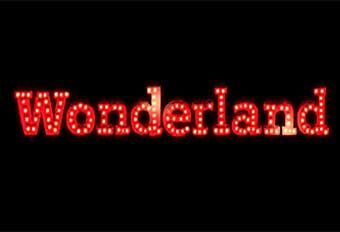 With a theme of a dark amusement park more reminiscent of Halloween than a casino, Wonderland Casino is held in high regard by its players. With a tagline of “Follow the white rabbit,” the casino plays into its mysterious gimmick well. It is available in 6 different languages and is licensed by the Government of Malta as well as the UK Gambling Commission. The casino is very new on the market, having only been established in 2015; however, its reputation has grown rapidly. It was the brainchild of number of disgruntled managers in the e-gaming industry who grew weary of seeing the same thing in casinos, and came up with the Wonderland theme. The casino is not available in France, Spain or the USA. As is becoming the defining feature of online casinos, Wonderland’s star attraction is its choice of slots. Players can find traditional three reeled slots as well as some of the most popular progressive slots available at the moment, including Mega Moolah, Dead or Alive, Twin Spin and Immortal Romance. Wonderland also offers an extensive selection of table games, with multiple varieties of blackjack, roulette and baccarat as well as Texas Hold’em. The casino offers single-hand and multi-hand video poker, including Joker Poker, Jacks or Better and Double Bonus Poker. There are also “other games” to choose from, including Keno and scratch games. Wonderland offers over 700 games from leading manufacturers Microgaming, NetEnt, Betsoft amongst others, ensuring that graphic quality is of the highest standard. It is an instant-play casino with no downloadable software required, and works perfectly on both desktop and mobile devices. Hundreds of games are available on Wonderland’s mobile devices, with touch-based versions identical to the desktop equivalents, apart from the interface. There is no app download required, and players can play through their mobile browser. A generous 100% welcome bonus matching new players’ first deposits up to £500 is on offer, and 10 free spins are available upon signing up. Wonderland offers a 50% reload bonus up to £500 each month players visit the casino. Daily promotions are on offer, including free spins on popular slot game Guns n Roses amongst others. Multiple banking options are on offer for players wishing to deposit on Wonderland. Visa, MasterCard and Maestro are all available, as are NETELLER and Skrill. Players can also deposit via bank transfer. GoDaddy provide Wonderland with an SSL encryption which protects players’ personal information. Games are also regularly tested by third party organisations to ensure fairness. The quickest way to get in contact with the Wonderland support team is via the Live Chat. However, unlike other casinos, this is not accessible 24/7 – only available in English between 10am and 6pm every day. An email support team is also available to answer questions. The casino aims to respond as soon as possible, and no later than 24 hours.